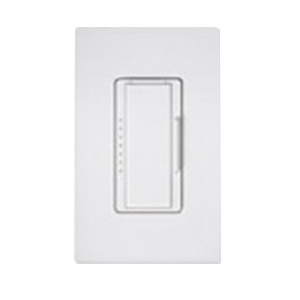 Lutron Maestro® Multi-location dimmer switch turns the light on and off with one tap and double tap for full on. In order to get delayed fade-to-off press, hold and release the switch. The rocker helps to adjust the light level. It adjusts the light level and controls the brightness in the dark. 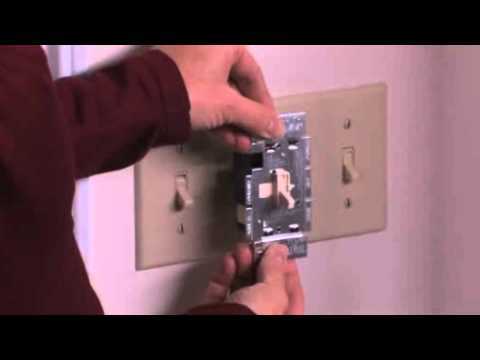 This dimmer switch in white, is compatible with incandescent, halogen and magnetic low voltage halogen bulbs. The 1000-VA, 800-Watt switch is perfect for lighting, indoor commercial and residential applications.